Tankless water heaters in Apache Junction, AZ are also known as demand type or the instantaneous water heaters, providing hot water as needed. They do not produce stand-by energy loss that is associated with the storage water heaters, which can save your money. They heat the water directly and do not use a storage tank. When you turn on a tap of hot water, cold water runs through a pipe to the unit. Either an electric element or a gas burner heats up the water. In the end, tankless water heater delivers constant supply of hot water. You do not need to wait for a storage tank to be filled with enough water. However, the output of tankless water heater limits flow rate of water. Ideally, they provide water that is hot at a rate of 2 to 5 gallons in a minute. Gas fired tankless water heater they have a high flow rate compared to electric one. Sometimes even the gas-fired model can’t supply enough of hot water at the same time for multiple use in big houses. For example, running the dishwasher and having a shower simultaneously can stretch the water heater to its limit. To solve this problem, it is important to install two or more water heaters connected parallel according to demand of hot water. Additionally, you can have separate demand water heater for other uses such as dishwasher or clothes washer. 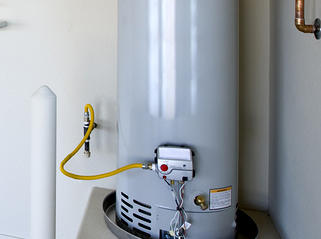 Consider the following factors when buying your water heater. • Costs; consider the one that you can afford. • Size; choose the one will suit your needs. If you require a lot of water in the house, go for a bigger size. • Energy efficiency; always buy the one that can provide energy without any faults. Energy is very vital in tankless water heaters. • Fuel type and availability; it is important to buy then one that you can easily access the fuel to be used. Proper installation and good maintenance can optimize energy efficiency. However, proper installation depends on many factors. This includes climate, fuel type, and local building code requirements. Therefore, it is quite important to have a qualified plumber and heater contractor installing your tankless water heater in Apache Junction, AZ.